The United Nations has been focusing intently on the use of technology to solve global problems and drive development that’s both affordable and sustainable. Amrita University itself is a lesson in innovation. 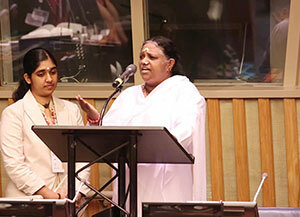 It was founded not by scientists and scholars but by one of India’s most influential humanitarians and spiritual leaders, Sri Mata Amritanandamayi, who serves as Chancellor of Amrita University and believes that integration of the latest technologies with spiritual principles is the right way forward. 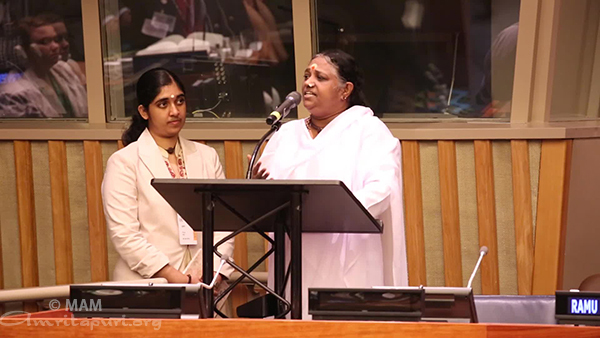 Amma gave the keynote address at the recent UNAI conference, stressing for the participants the Amrita University’s core tenet: progress that is driven by compassion and understanding for all people. Amrita University has committed itself to the development of technologies to address these very concrete needs, without forgetting that human happiness and well-being also has a spiritual dimension. Amrita have been joined in this mission by scientists and technologists from top institutions around the world, including Oxford, Cambridge, Stanford, EPFL, Monash, Twente, and the National University of Singapore. Amrita and our fellow researchers presented a few of these solutions-in-progress to over 700 representatives from 93 international universities at a conference on Technology for Sustainable Development that Amrita co-hosted with the United Nations Academic Impact (UNAI) program, a global initiative that aligns institutions of higher education with the UN to advance sustainable development. • Health and Medicine — The problem of increasing antibiotic resistance is a concern for people everywhere. We’re developing nanotechnology materials that can serve as a new type of antibiotic materials that will overcome resistance. We’re also developing more effective and nanotech-enabled vaccines and nano-therapeutics for diseases of the immune system, such as multiple sclerosis and diabetes; new and less toxic nanomedicines for combatting drug resistance in cancer. We have shown the potential of a light-based diagnostic tool for early detection of oral cancer that can save countless lives. • Clean Water — Hundreds of millions of people globally have limited access to clean water. Amrita’s research teams are using nano-textiles to create low-cost and effective filters that can remove disease-causing bacteria, parasites and viruses. • Energy Storage – Many communities in India have little or no connection to an electric grid, but existing battery technologies have limitations of weight, cost, and storage. Nano-based solid-state thin-film energy-storage systems that our researchers are developing are capable of providing battery life of ten years or more and better storage capacity. The potential applications for better battery technology are exciting even for people with ready access to the grid. • Education — The science of haptics is the science of touch and perception, using vibrations and other forces to simulate what it feels like to handle a tool or manipulate objects. 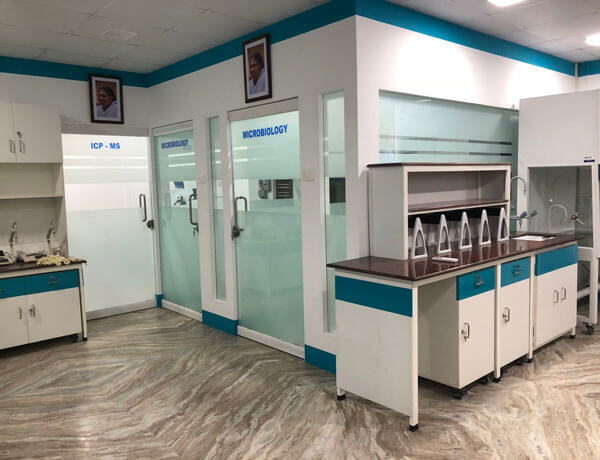 Amrita and its fellow researchers are using haptic technology to address the need for effective and affordable training in construction and other hands-on vocational skills that men and women in developing communities need. • Disaster Management – Natural disasters have caused an estimated $1.7 trillion in damage and killed more than a million people, just since the year 2000. 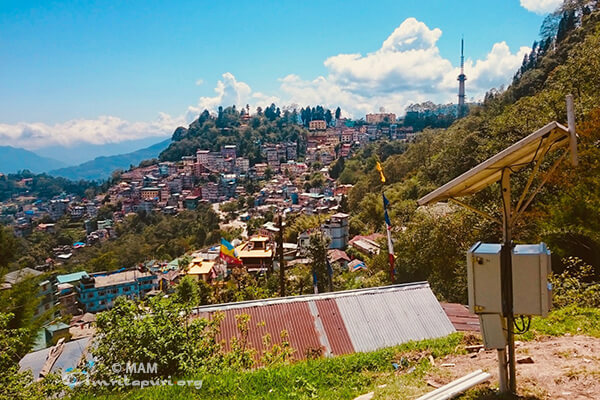 One of India’s biggest concerns is landslides, so Amrita scientists have developed a novel Deep Earth Probe that can sense when landslides are imminent and then send out warnings so people who live in high-risk areas can move to safer ground. • People have been practicing traditional medicine for thousands of years, notably in places such as China and India, and many of the herbal and nature-derived treatments are as effective or better than modern synthetic medicines. 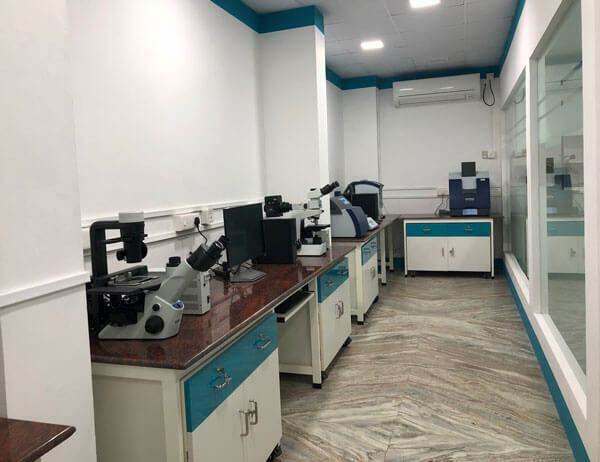 We are studying very carefully the mechanisms of action of these traditional medications and creating a new database that will help in bringing the curative aspects of these traditional medicines to the people. A good example is our demonstration of a traditional remedy for diabetic wound-healing made from the outer shell of the cashew nut that can potentially save many limbs from amputation due to incurable diabetic wounds. 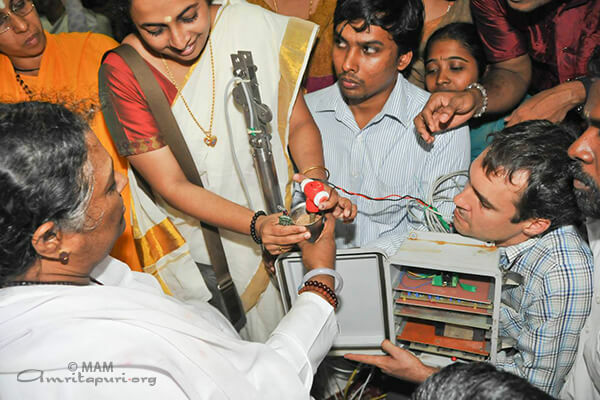 The Amrita Center of Biotechnology introduced a Microbial Fuel Cell, which utilizes energy from bacterial growth in wastewater to generate electricity while simultaneously bringing about purification of the wastewater–an important step in addressing the sanitation and energy problems that are very relevant in our country. 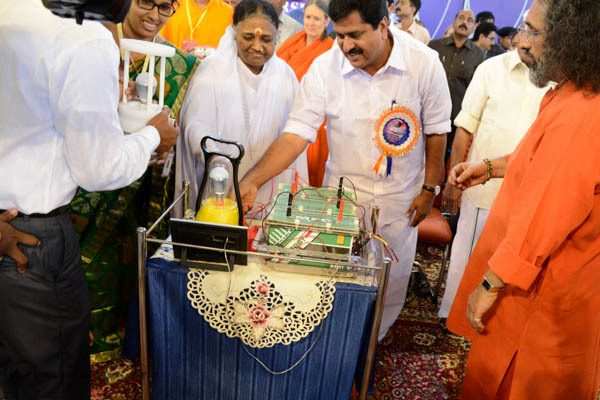 VS Sivakumar, Kerala Minister of Health unveiled the cell during Amma’s 61st Birthday celebrations. Amrita Big Data Framework (ABDF) is an all-integrated framework for effortless Big Data analytics that can help one analyze large sets of data and eek out intelligence for improved decision-making allowing optimization and enhanced efficiency. ABDF has applications to diverse fields from medicine, engineering, social media and much more making it an extremely powerful tool. 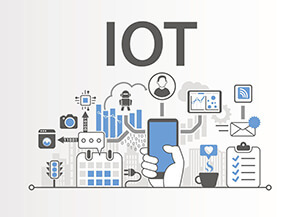 Amrita Internet of Things Platform (AIoTm) provides a scalable inter operable platform for devices to connect and communicate amongst themselves without human-to-human or human-to-computer interaction. 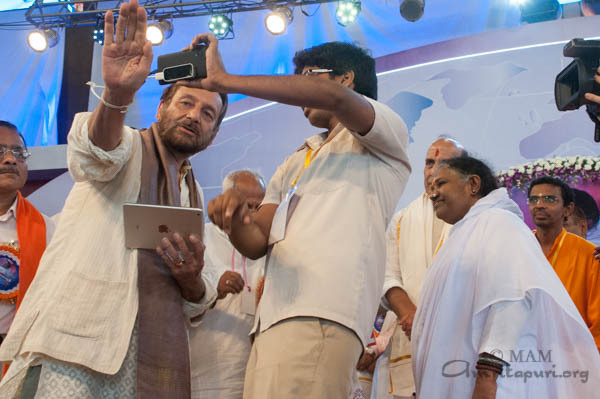 CN Balakrishnan, Kerala Minister of Co-Operation unveiled both the above devices during Amritavarsham 61 celebrations. 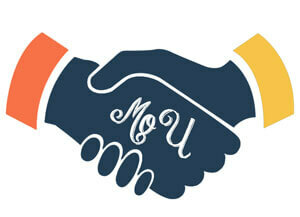 Imagine a fully interactive augmented reality–an extra layer on top of our world that we can see, grab and control. 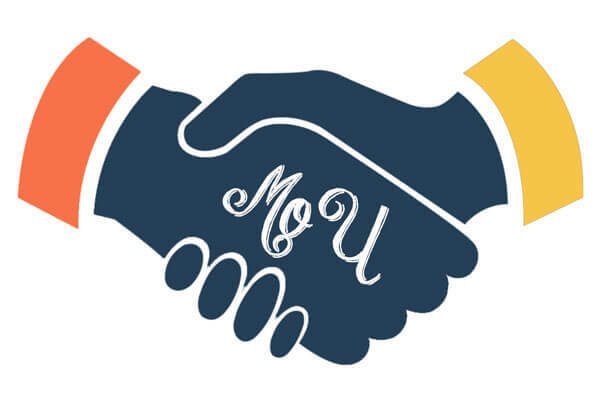 With GetVu’s platform, instead of using voice controls to indirectly interact with a virtual object, you could reach out and move it around with your hands. You could change the colors of a proposed building project on your city’s skyline or play foosball on your kitchen table or even explore architectural ruins. With augmented reality taken beyond the limits of the smartphone or tablet, you could look around, see the world for what it could be, and change it with a wave of your hand. The Amrita A-One Fuel-maker is an electricity-free machine for producing fuel briquettes from bio mass, like husk, sawdust, pine needles, dry leaves, etc. This patent-pending technology produces briquettes with bicycle power and is a great way to generate income as well as reduce fuel cost for rural Indian villagers. The Amrita All-Purpose Solar Dryer is for drying vegetables, fruits and herbal leaves using indirect passive heating technology, thereby preserving mineral and vitamin compositions. Both were unveiled by KC Venugopal, MP on the occasion occasion of Amritavarsham61. In order to help people with cardiac conditions avail of real-time, ECG-monitoring without hospitalization, Amrita WNA has designed a prototype for a low-cost, low-power, wearable ECG-monitoring device called Amrita Spandanam. 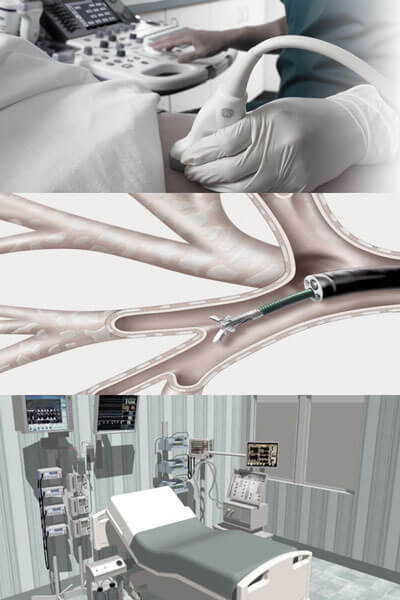 Amrita Spandanam will allow postoperative cardiac patients as well as people with cardiac conditions to avoid hospitalization for the sake of continuous vital-parameter monitoring. Amrita Spandanam, which can be worn either as a necklace or as a belt, continuously monitors and analyzes a patient’s ECG. The ECG data is sent wirelessly, in real-time, to the patient’s cardiologist/doctor, with alerts if a patient seems to require examination. Doctors can avail of the live-feed through their mobile phone, making monitoring possible even when both the patient and the doctor are mobile. 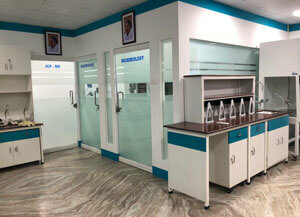 The Amrita Spandanam prototype has been designed so that the data will also be automatically logged into Hospital Information System at Amrita Institute of Medical Sciences in Kochi. 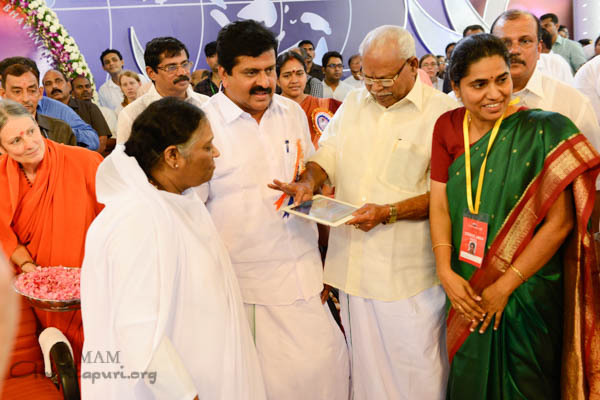 The Amrita Spandanam prototype will be unveiled on September 26, 2013, at Amritavarsham60—The 60th Birthday Celebrations of Sri Mata Amritanandamayi Devi, Amma. How can anyone live in fear? Most women are victimized for no fault of their own unable to travel and perform mundane activities. 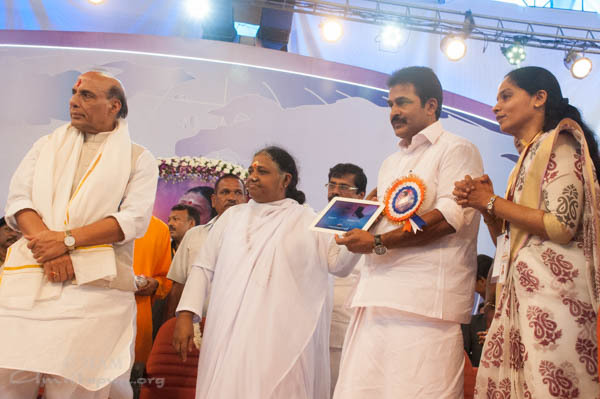 In discussions with Amrita University’s Centre for Cyber Security, Sri Mata Amritanandamayi Devi (Amma), stressed the need for developing technology to protect and make Indian women feel more safe. The Amrita Personal safety system (APSS) device is wearable devices that will never make a women feel all alone anywhere anymore! This device will empower women to trigger communication with family and police when in distress. The device will remain inconspicuous to the offender and yet easily triggerable by the victim with multiple options to ensure stealthy and secure communication. With the ability to record conversations, and communicate immediately by the press of a button or using sms and voice calls to multiple destinations, this device also offers automated information on nearest police station, hospitals, fire stations to the victim to get immediate help. The device will also have ability to video tape events in the near future. The device is designed to function even in rural areas where the speed of the communication is very minimal. Also this device combines many location aware technologies intelligently, to be able to work in indoor and outdoor environments with minimal power consumption. 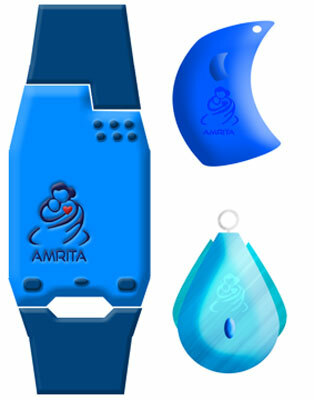 This customizable device developed by Amrita’s Centre for Cyber Security provides flexibility in design for wearability, and integrates over 15 features pertaining to safety and security of women and other potential victims. This device can also be used as a safety device for mentally challenged citizens and children with many functionalities to quickly identify their whereabouts amongst other functions. The APSS will be dedicated to society during Amritavarsham60 —The 60th Birthday Celebrations of Amma, Sri Mata Amritanandamayi Devi.